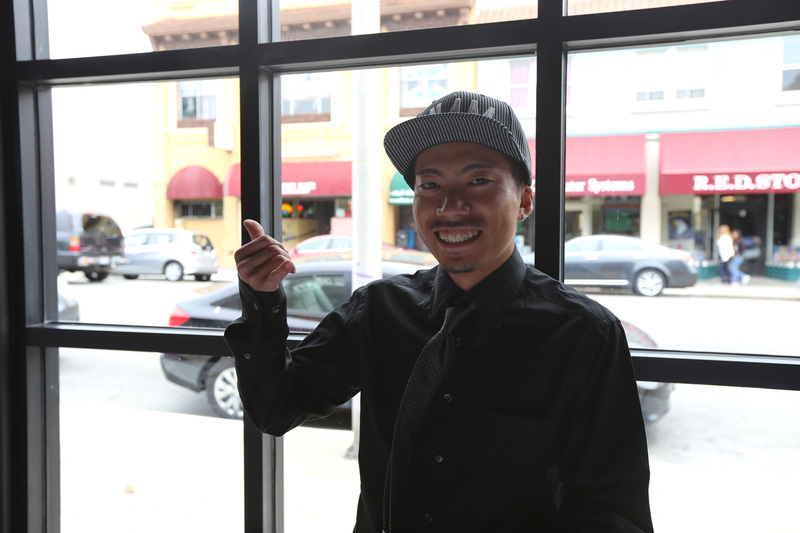 Recently we were blessed to have Teru from Japan intern for us. His assignments were to film & help out around the office and shop. And although he just learned how to edit films this year, his skills dramatically improved and to see for yourself, check out some of his most recent work on FatlaceTV. 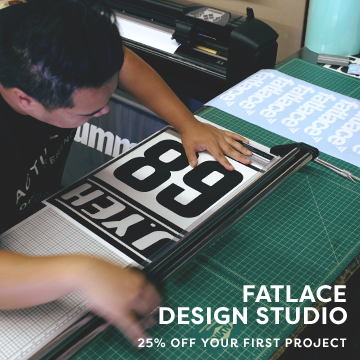 From the crew at fatlace, we wanted to thank Teru for his awesome work. 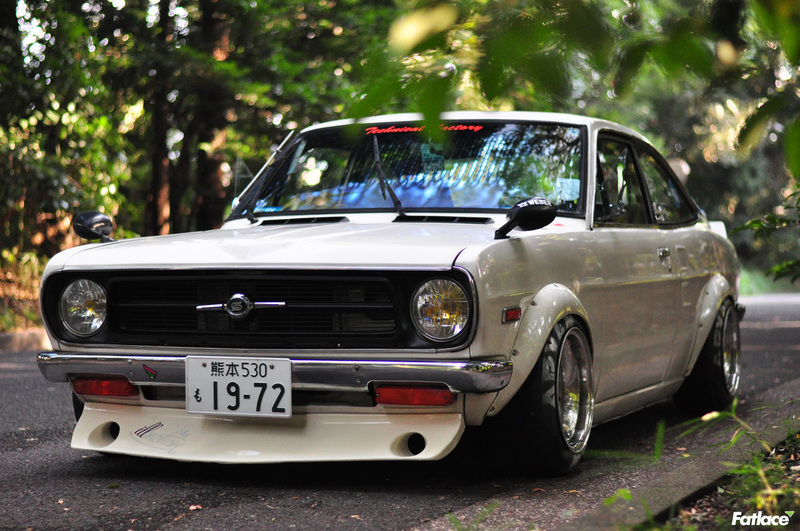 He’ll be with us again in Japan this year for our annual Hellaflush / Slammed Society event at Fuji Speedway. Teru, the damaja at his going away lunch at Espetus. If you haven’t enjoyed Espetus and love Brazilian food, there’s 2 restaurants in San Francisco & San Mateo. 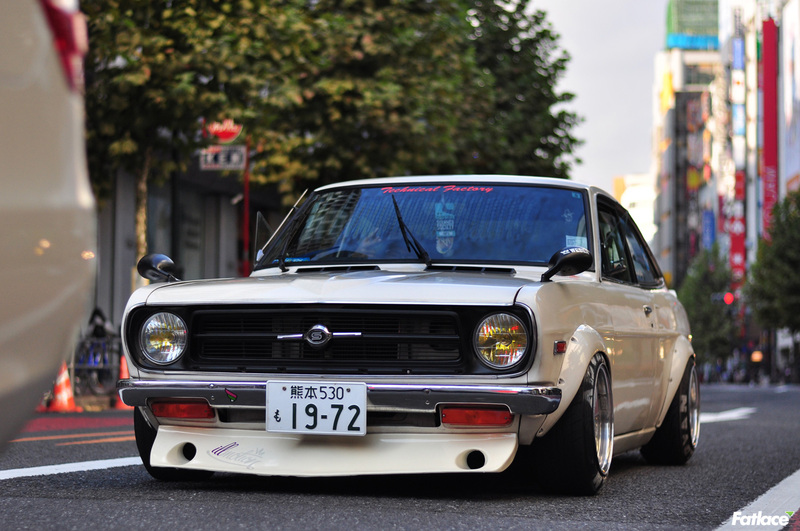 This is Teru’s B110 Nissan Sunny. 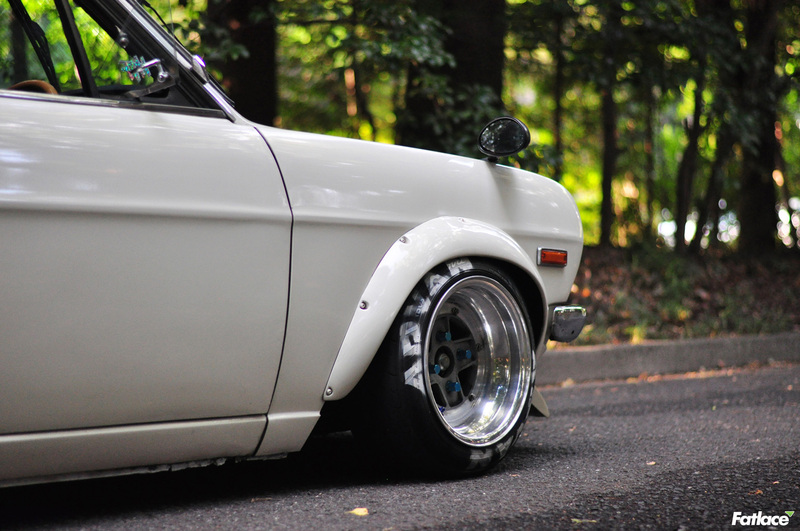 So much character & style in this little beast. We had these photos shot by our friend Park a few months ago and thought it would be cool to put it together with his post. 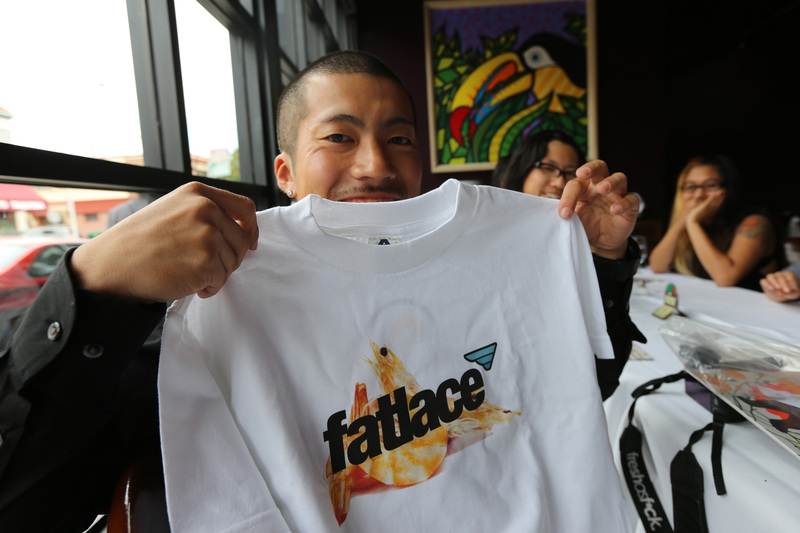 Gifted him with a 1/1 Fatlace Shrimp Tee. Since it’s his favorite food, why not. lols.. 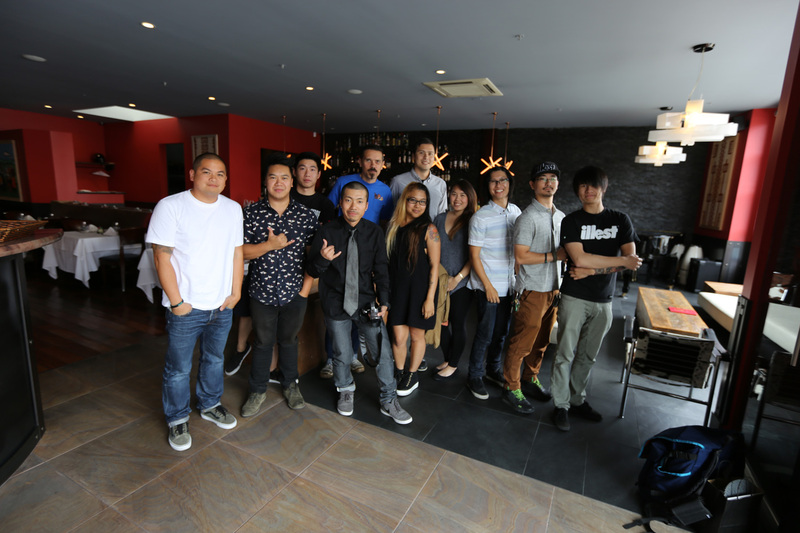 Crew that day for the lunch. 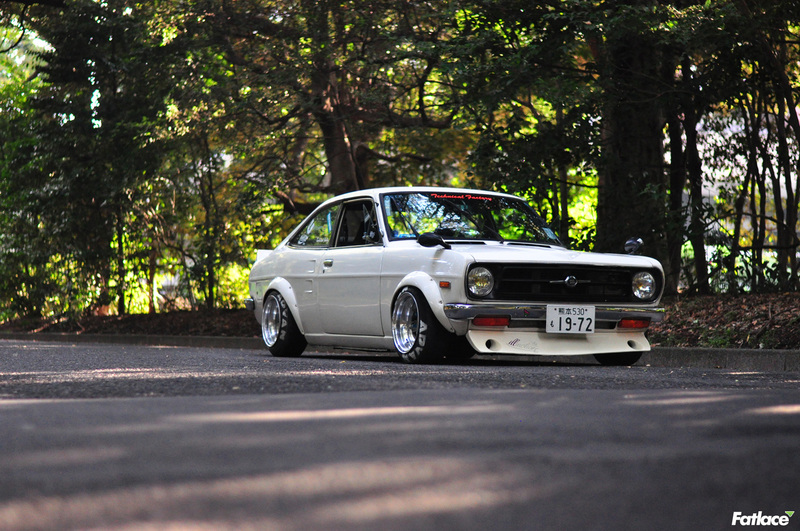 You never see these types of cars in the Shibuya & Harajuku area. 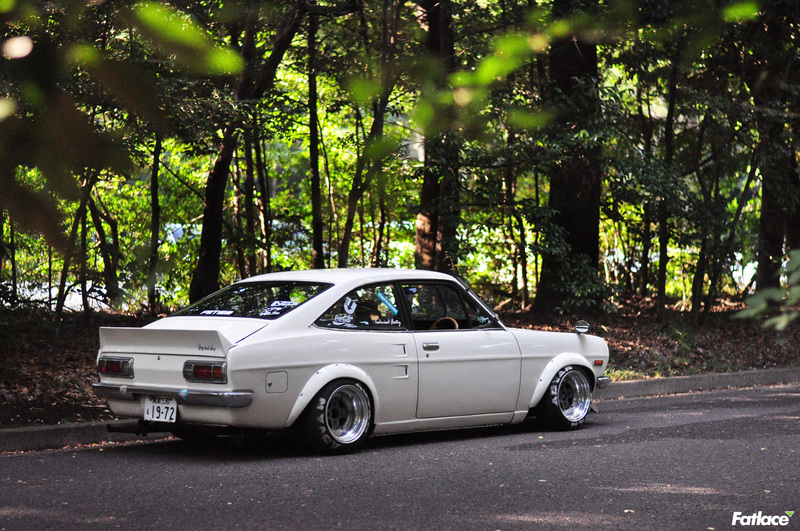 Outside you’ll see a few but never will you find lowered old school cars for some reason unless you see Teru’s. He’s into style & cars. Music is priority in his life as well as making sure he’s got good shoes. I was interviewed by C16 in 2003 about style & cars and I really wanted the two worlds to collide. It took a while but around 2009 is when sneakerhead mentality was strong in the aftermarket community. It’s been a global trend since. 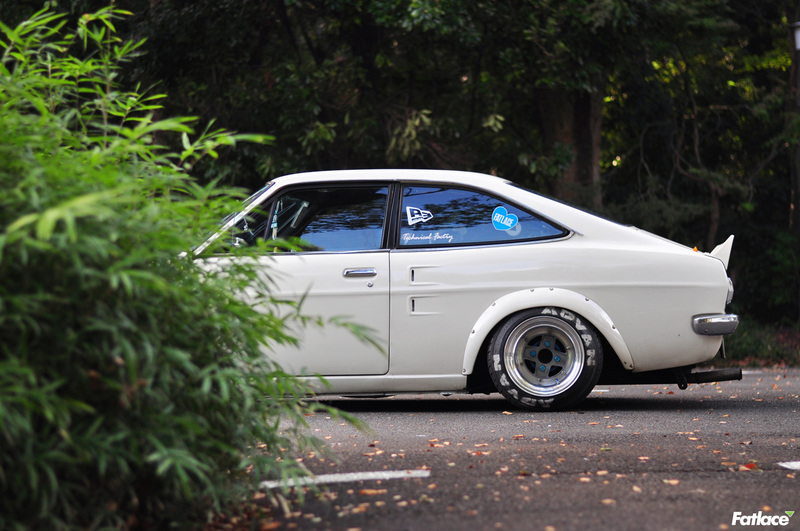 A trend I’m stoked on cause its nice to see owners of cars that have over 30k in upgrades with nice sneakers. 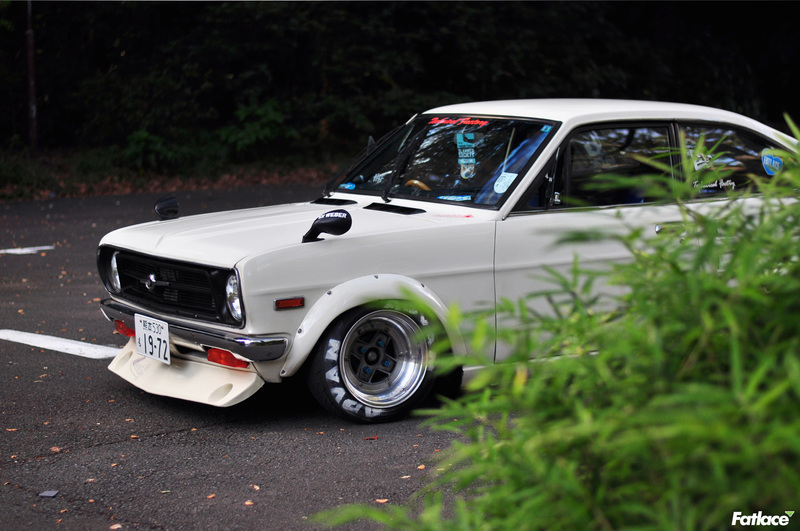 This B110 is Teru’s daily which he’s had for over 2 years. Before this, he owned a S13 and a B110 Sunny Truck, but wanted a car that was more compact and sporty for grip runs in mountain passes. 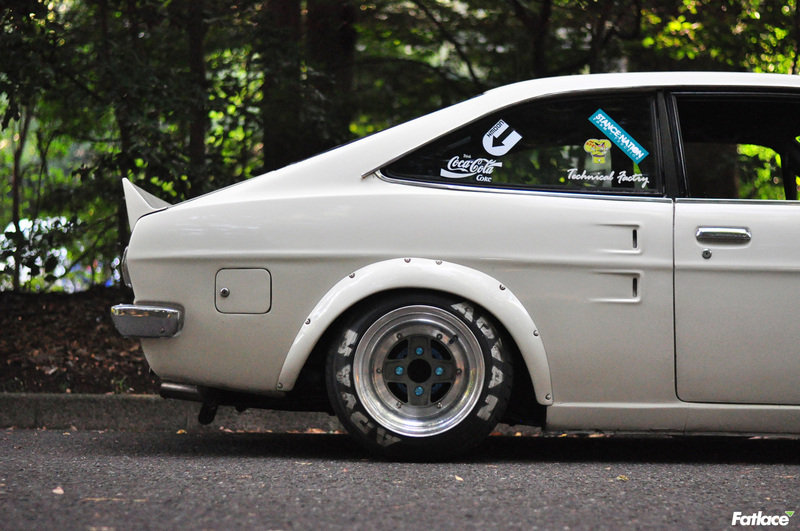 He drives it everyday this low to work and around town, even to circuit events at Tsukuba for time attack. 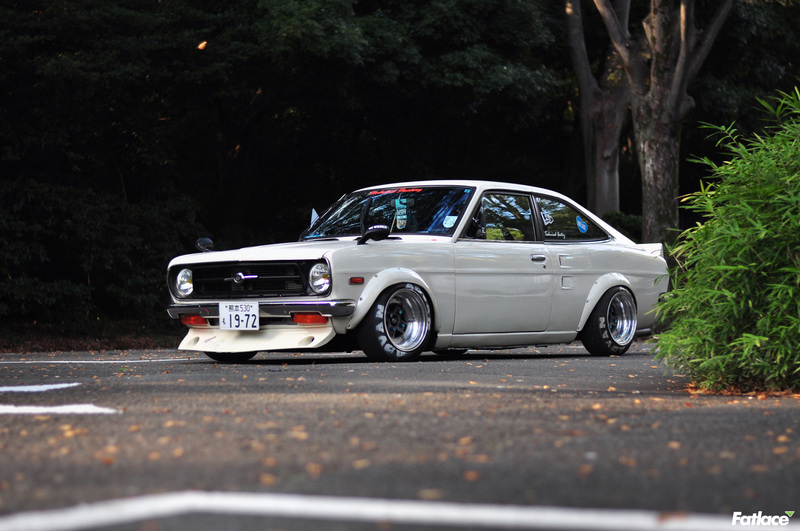 When he was younger, he started reading the comic series “Shakotan Boogie” and got interested in older cars, especially low-down ones. 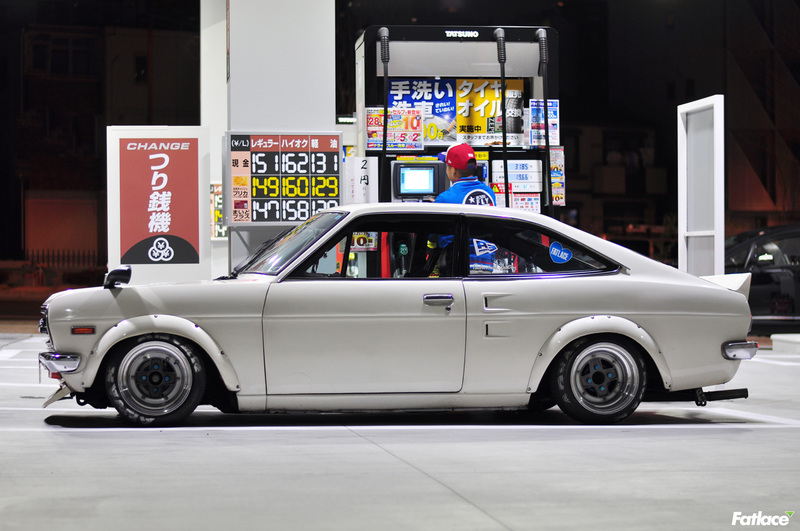 He chose B110 Coupe because it’s rarely seen, even in Japan. He helped Mr. Yabuki, owner of Technical Factory in Saitama, build it over the course of 2 months. 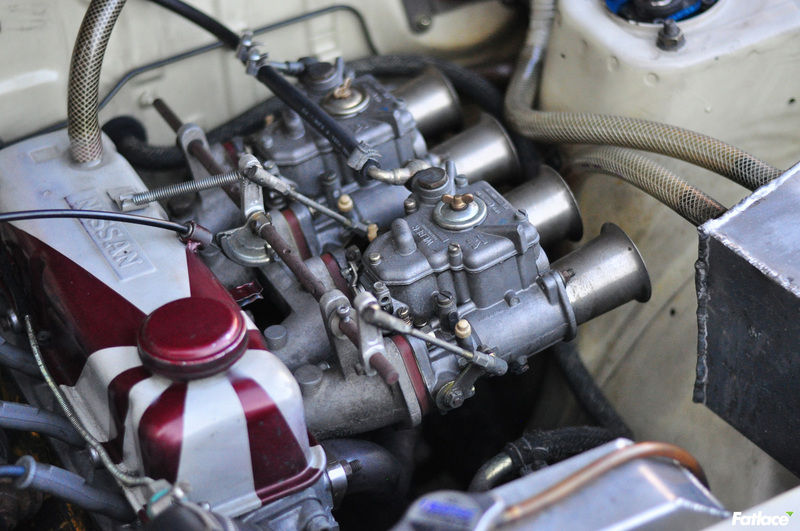 It has a real racing bonnet and ducktail spoiler from 1974, as well as a Matsuoka-built A15 Engine, also by Technical Factory. Nice Weber 45 carbs with a traditional flag design on the cover. 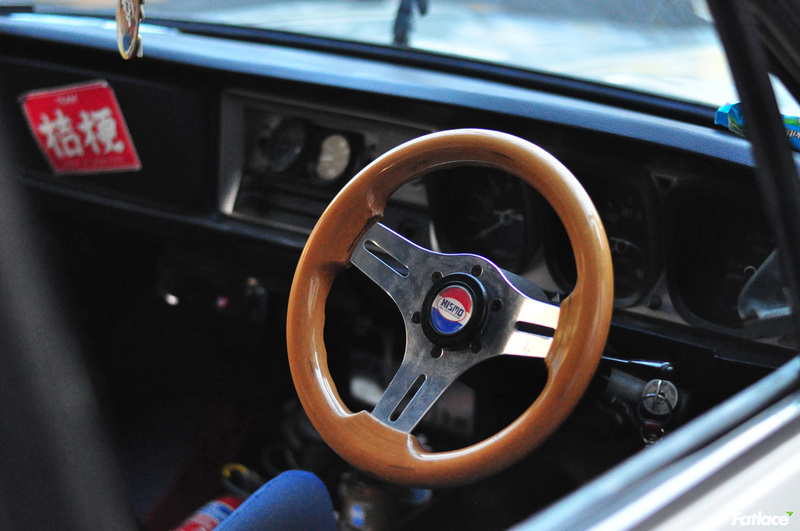 Cute little Nismo wheel. Teru’s a small guy and matches him well. 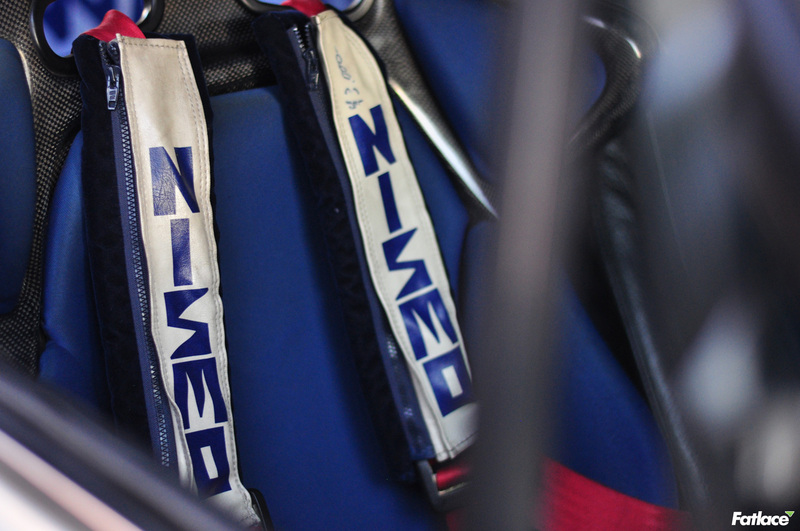 Vintage Nismo harness. Nice touch. 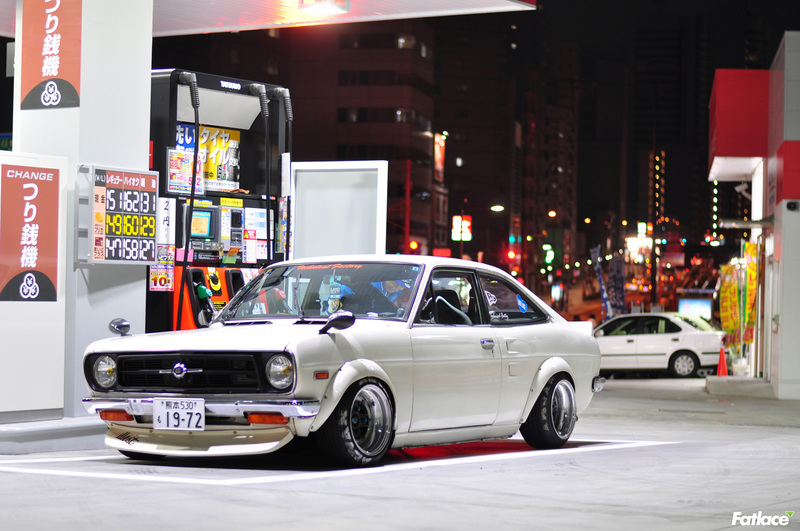 Japanese gas stations. Sometimes they let you pump your gas by yourself. Teru pumpin’ gas. His Sunny is a perfect example of now & then. 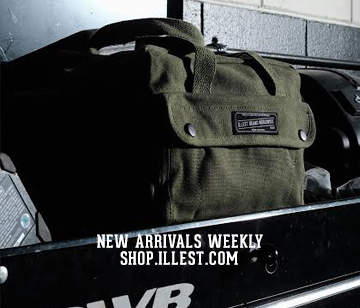 The current styling is inspired by old-school circuit TS Cup cars, street racers of the 70s & 80s, and a small taste Hawaiian flavor, which Teru is a big fan of. This photo probably is the main reason why he wants to live in the states. He loves Hawaiian girls! Thank you again Teru for all your help these past weeks. It was fun for everyone and hope you learned alot more ghetto english. 🙂 StayFresh crew for life!